Pence is visiting Colombia, the first stop on his tour of Latin America to gain support in helping restore democracy in Venezuela. In the joint press conference with president of Colombia, Juan Manuel Santos, both leaders emphasized a hope for peaceful solutions. 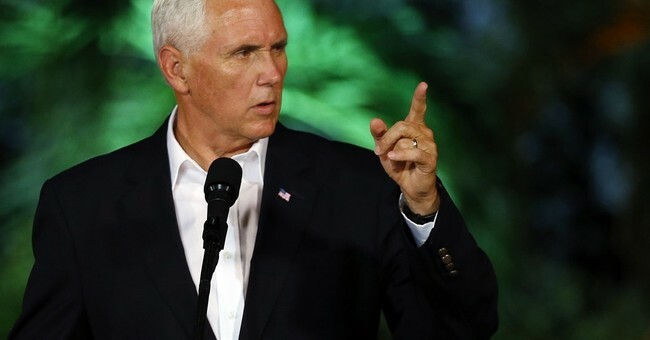 The vice president said that Donald Trump “remains confident that, working with all of our allies across Latin America, we can achieve a peaceable solution to the crisis facing the Venezuelan people,” but called on Colombia and neighboring nations to do more. Santos agreed that the U.S. and Colombia have always upheld the “freedom, democracy, respect for human rights, and, naturally, peace.” And that they would work till Venezuela becomes a democracy again. Now that the conflict with FARC is at an end, he wants to focus on rebuilding the areas that have been damaged. He said the programs of Plan Colombia, now Paz Colombia, will focus on rebuilding areas that are effected by conflict. "Putting an end to conflict is one thing, but building peace -- that is another thing and a very different thing," he said, adding that he was grateful for the aid from the United States.